Happy Chef 2 is the sequel to the game Happy Chef which has been released for Windows 8 and 8.1 platforms. 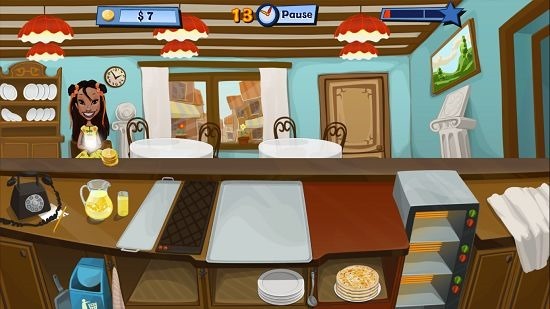 The game is lightweight given its graphics and visual effects, and in the game, you play as the chef who has to serve the customers the food which they order. You have to cook pizzas, nuggets, serve lemonade etc. to the customers who come to your desk and order for the same. The game has neat graphics, and looks pretty good. Happy Chef 2 is available for free from the App Store. 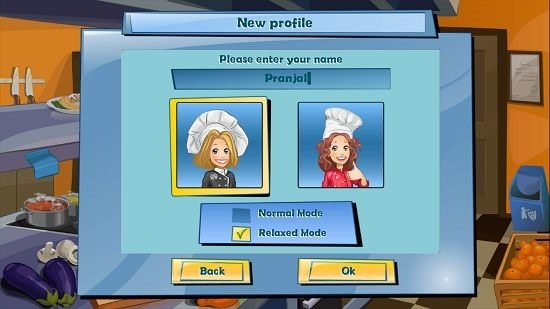 When you install and launch the Happy Chef 2 game on your device, you will directly be taken to a screen where you can enter your name, select the difficulty level and start playing. Simply select the difficulty level at the bottom of the screen, choose your character avatar and click on the OK button to be presented with the game’s introduction video. This will tell you all about your backstory. You can skip this by clicking on the Skip button at the top right corner of the screen. When the video has been watched or skipped through, you will be shown a calendar where you can select the day which you wish to play. 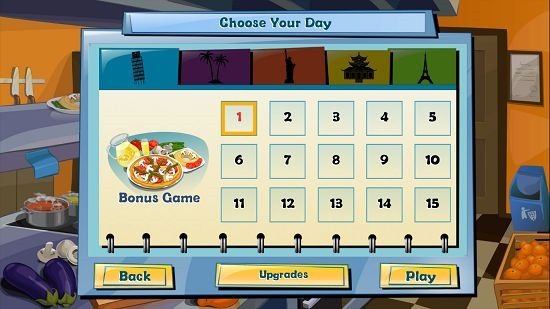 As always, the days unlock in sequence and once you complete day 1, it’s only then that you can proceed to play day 2 of the game. The day selection screen is basically the level selection of the game. You can see this in the screenshot attached below. Once you choose a level, it won’t take long before the gameplay screen is presented to you. 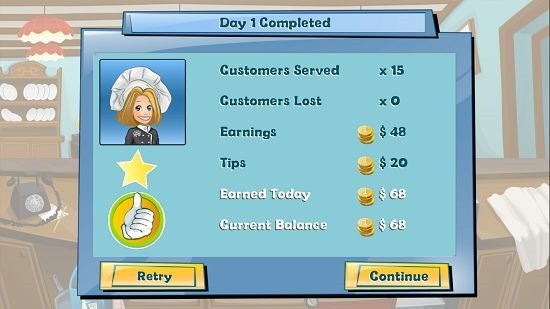 In the game, you need to click and drag the items that the customers demand to them. The customer’s demands will be shown above them, and you have to act accordingly to serve them. Once the level completes, you will be shown your results. That’s all for the main features of this game! Happy Chef 2 makes for a great game to while away your time, and the concept of the game is pretty interesting to say the least. Overall the game has a great touch to it, and definitely is worthy of checking out! The concept of the game and its implementation sits well with kids and adults of all age groups, making for a great overall experience on your Windows 8 device!